Rolex presented the latest version of their Oyster Perpetual Deepsea Sea-Dweller at Baselworld 2018. The model is the watch for extreme-depth divers as it is waterproof to a depth of 3,900 meters. This version uses a 44-mm Oystersteel case, made of the same steel used in aerospace technology. 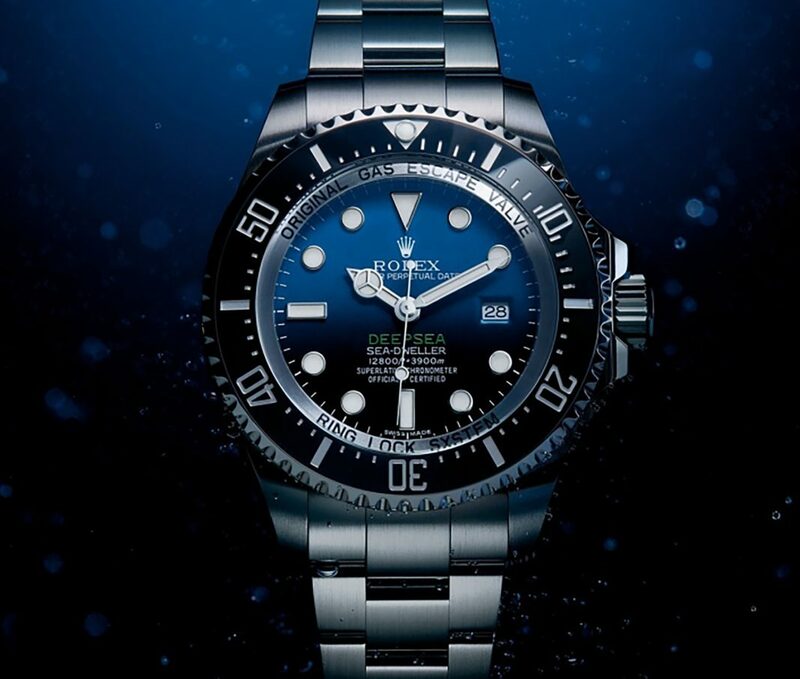 It has a D-Blue two-tone gradient dial that commemorates the James Cameron’s famous dive along the Mariana Trench. To compensate with decompression, Rolex engineers have fitted the Deepsea Sea-Dweller with a helium escape valve that opens when there is a difference in pressure between the inside and outside of the watch. The watch incorporates the caliber 3235 movement developed and manufactured by Rolex with Chronergy escapement, which combines efficiency and dependability. The model has a power reserve of 70 hours.